N903-PF - Size Large Powder-Free Nitrile Gloves - sold by the box, 100 gloves (50 pairs) per box. 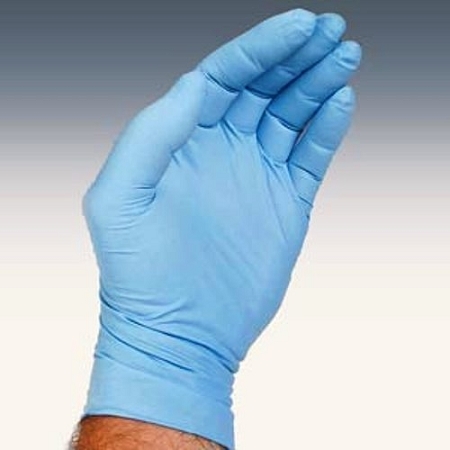 Powder-Free Nitrile Gloves provide sensitive user protection without latex protein allergens. Nitrile contains no rubber latex. Low modulus formulation for extra comfort. These gloves are designed for excellent tactile sensitivity. The Nitrile gloves stretch and mold to your hands and they are made to be puncture and abrasion resistant.